Systematic Conservation Planning (SCP) is aimed at providing decision-support for choices between alternative conservation and environmental management scenarios. Initially developed for protected area sitting by optimizing outcomes for biodiversity, SCP has evolved to allow for economic and social factors to be explicitly addressed, thus providing highlighting tradeoffs between conservation goals and economic development goals. We primarily use algorithms in software Zonation (University of Helsinki), but there are other SCP platforms (e.g., Marxan, C-Plan). Renewable energy sources are being promoted at a the global level to mitigate the effects of climate change and to meet increasing human demand for energy and food, despite a poor understanding in some cases of their potential ecological consequences. I collaborate with Dr. Wendy Palen at Simon Fraser University, BC Canada, on a spatial decision-support tool for prioritizing energy – environment land allocation in British Columbia, using the case of small hydropower projects (Run-of-River, RoR). Individual RoR projects are considered to have only modest ecological footprints, but widespread implementation of such projects has the potential to generate substantial cumulative effects in both aquatic and terrestrial environments (e.g., reducing fish habitat and fragmenting forests). The primary challenge for conservation is the lack of a framework that simultaneously evaluates cumulative impacts on aquatic and terrestrial species and ecosystems, in the context of alternative development scenarios. This approach integrates the economics of power production (costs, revenue, power capacity), and the physical impacts of RoR on species and ecosystems, and identify win-win situations for biodiversity conservation and renewable energy, as well as potential conflicts. Popescu, V.D., R. Munshaw, F. Montesino-Pouzols, W.J. Palen, E. Dubman, P. Gibeau, M. Horne, and A. Moilanen (in prep.) Quantifying biodiversity trade-offs in the face of widespread renewable and unconventional energy development. Popescu, V.D., F. Montesino-Pouzols, R. Munshaw, E. Dubman, A. Moilanen, and W.J. Palen (in prep.) 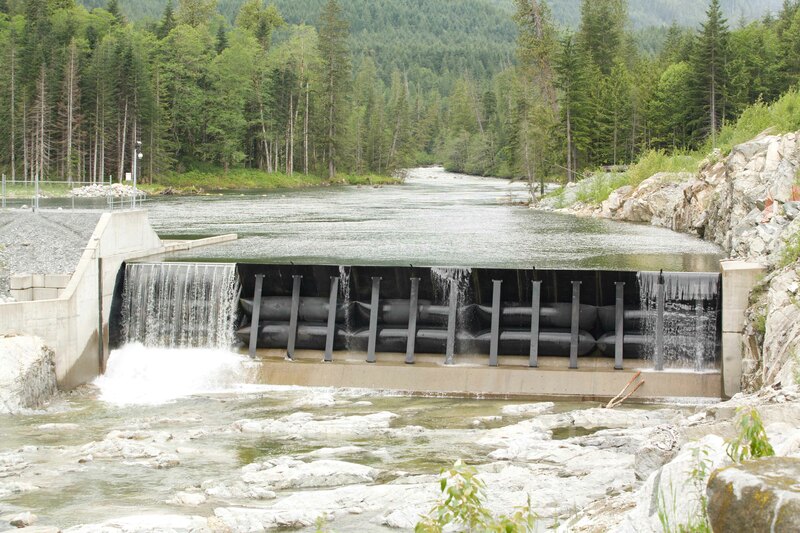 Developing a spatial decision-support tool for Small Hydropower development in British Columbia. This work is lead by PhD student Iulia Miu (University of Bucharest), with the goal to evaluate efficacy of the current protected area network for conserving biodiversity in Romania, and identify conservation priorities for mammals, birds, reptiles, amphibians and plants across multiple spatial scales. Amphibians and reptiles are at risk from climate change and from synergies with other threats, such as habitat loss, invasive species, and disease. With colleagues from the University of Bucharest (Dr. L. Rozylowicz), we performed the first spatial conservation prioritization exercise in Eastern Europe to identify strongholds for herpetofauna conservation in Romania. We used species distribution models to evaluate current ranges, and to predict potential range shifts for 2020s and 2050s under various emission and dispersal scenarios. We used these results as inputs for estimating the irreplaceability of various planning units, as well as for evaluating the current protected areas system (part of the pan-European Natura 2000 network) for conserving herpetofauna, and to identify resilient areas for conservation in the face of climate change.